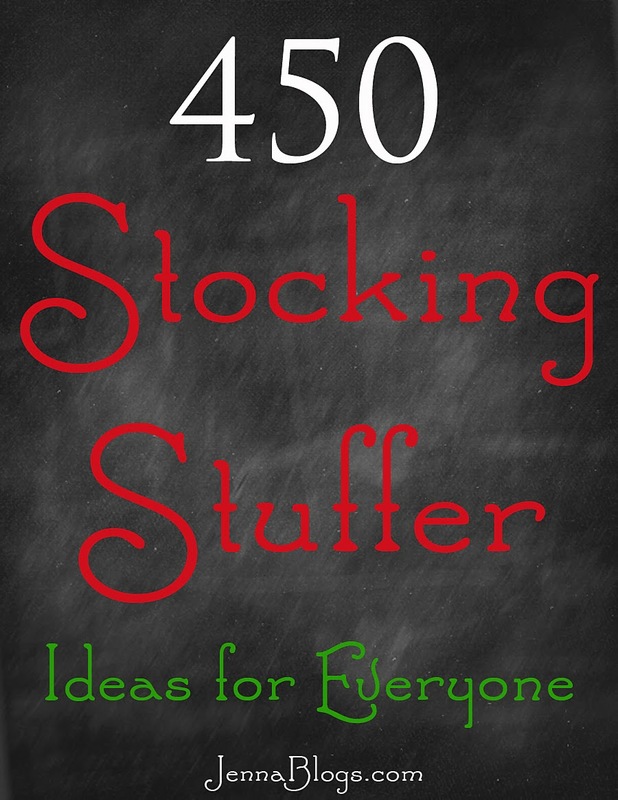 Jenna Blogs: 450 Stocking Stuffer Ideas! I didn't think it was possible, but I'm back again for the third year in a row with yet another new list of 150 stocking stuffers! (Affiliate Links are included in these posts). The 2011 List of 150 Stocking Stuffers can be found HERE. The 2012 List of 150 Stocking Stuffers can be found HERE. And of course, this years list is below, for a total of 450 great ideas! Ebates - This is GREAT tool. I shop online via Ebates and get big fat checks (as they call them) back! 35 more Elf on the Shelf ideas! Be sure to follow me on Twitter and Facebook for more great ideas! As always, I've put countless hours into composing this list, so please do not copy! I've done my best to give you pointers on where to find these items for great prices, but let me know if you have any questions. 19. Monogrammed ladies leather cuff bracelet (marleylilly.com has them and I've seen them on Jane and Groopdealz also; links at the top of this post). 27. My First Autobahn is a cute gift for little boys. Its a package of road tape with a mini car! 29. A great gift for the grandparents - turn your instagram photos into magnets using StickGram or Shutterfly. 31. Warm your food up without a microwave, safely and easily at your desk using CrockPot Lunch Crock! 45. Batteries for all the gifts! Do you buy your Christmas cards at Tiny Prints? Check out Zulily today and purchase a $100 credit for just $50! Just click here! 100. Topsy tail! This makes me smile because it's a throwback for all us 90's girls! It's back online! 103. Hand make cute soap in fun shapes! 111. Scented markers are back - get them for the 90's fan! 112. Reusable grocery bags can be folded up and stuffed into a stocking for the eco conscious family member! 117. Holiday scented travel tin candles - these are great for anyone who won't be at home for the holidays. Get them in scents like gingerbread, pine, sugar cookie and peppermint! 118. Bath bombs - buy them inexpressively or make them yourself! 131. Squeeze Ease Tube Squeezers - keep your lotion, toothpaste etc down at the end of the tube! 139. A best seller! The Fault In Our Stars, Allegiant, Gone Girl, Clockwork Princess. 140. Wristwatch post it notes - write your note and it sticks around your wrist just like a watch! If you enjoyed this post, please be sure to share it on your facebook, blog, twitter and pinterest accounts! Also, be sure to follow me on Twitter and Facebook for more great ideas!